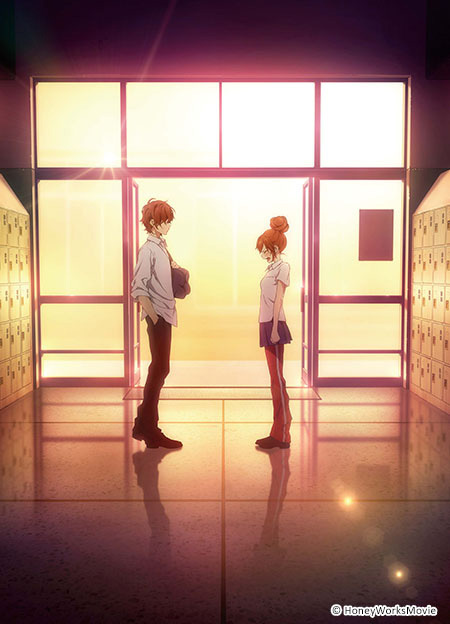 Natsuki Enomoto, a third-year student at Sakuragaoka High School, has feelings of unrequited love for her childhood friend, Yu Setoguchi. Unable to be true to her own feelings, Natsuki tells Yu that she is merely using him as a stand-in to practice confessing her love to. As Natsuki continues to pretend not having any feelings for Yu, her classmate Koyuki Ayase asks her out on a date. Will Natsuki ever be able to stop “practicing” and actually confess her love to Yu? The president of the film club. He is nice towards both guys and girls and is very popular because of that, but he has no idea nor does he care about it. Students from the other classes also like him. He can be a bit moody and indecisive at times. Member of the art club. She has a cheerful and positive personality. She likes to stay active, draw manga, and eat a lot. Her signature look is to wear her gym pants underneath her skirt. President of the art club. She dreams of an ideal romance but when it comes to romantic situations, she is totally unaware. She is usually shy but she is popular for her friendliness and signature smile. She is a bit scatter-brained and is not good at sports. Member of the film club. He is a bit of a troublemaker but is caring and friends see him as a big brother type. He has an excellent sense when it comes to creating his own films. He usually goes home with Miou. Vice president of the art club. She is a hard worker and everyone relies on her. She is caring but also shy. She usually doesn’t talk to boys but she finds it easy to talk to Haruki.